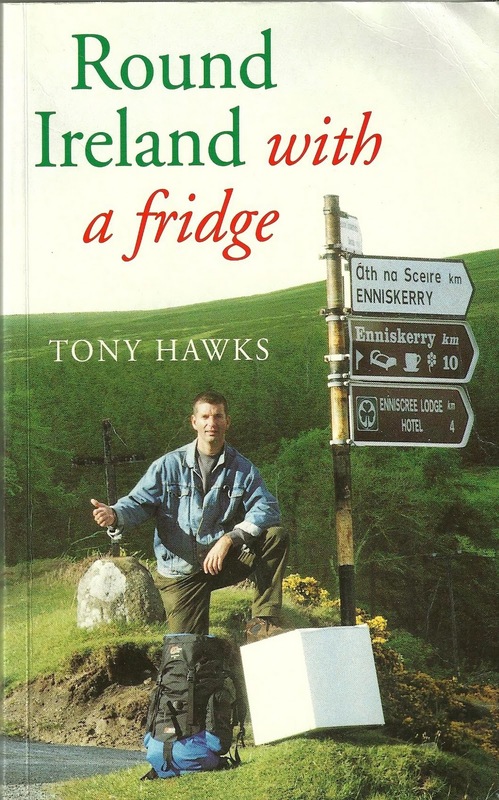 Tony Hawks, as the result of a drunken bet hitch-hiked around Ireland with a fridge. 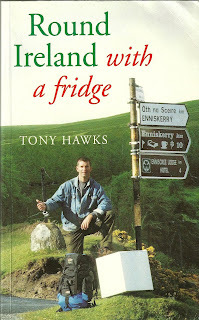 He records his adventure in a book, "Round Ireland with a fridge". It is a wonderful, wild and wacky journey. Prior to leaving on the journey, he hosts a corporate function where Nigel Walker, former Olympic hurdler who gave it all up and became a Welsh International rugby player was the guest speaker. His talk was on the need to adapt, and few are better qualified to speak on the subject. Nigel showed clips of his 1984 Olympic 110m hurdle semi-final where he caught his leading leg on the seventh hurdle and went crashing to the ground. Failing to qualify for the 1992 Olympics made him realise that he ought to change to rugby, as he didn't want to find himself saying at a much later date, "If only I'd had a serious go at playing rugby". He then showed clips of some of his magnificent international tries for Wales. After the speech, Tony Hawks was required to go on stage to conduct a short interview. He said that "there was one question I simply couldn't resist asking him". "Nigel, was there any point when you thought to yourself, as you were lying prostrate on the Olympic track alongside an upturned hurdle with two badly grazed knees, 'If only I'd jumped a bit higher ...?'" Ah, if only! I've been thinking about 'if only'. Some people no doubt see this as fruitless; interpreting it as regret for things that you can do nothing about. Please allow me the luxury of thinking about 'if only', for there are others a lot younger than me who can benefit from the lesson. There are unfortunately many 'if only's' in my life, some of which are too personal and private to record in a blog, but the one area I want to focus on is that of education. 'If only' I'd passed my 11 plus. Would that have meant me gaining sufficient exam passes to go to University and coming away with a degree, instead of leaving full time education with nothing? 'If only' a few years later, when engaged in my chosen profession, I'd taken the opportunity to study for something like a Social Work degree, which would have advanced opportunities for professional development. 'If only' at a later stage when in management, I'd been prepared to study for a relevant management qualification such as the MBA. 'If only' I hadn't kept making excuses about putting all my energies and time into the working day, and thought about the bigger picture. 'If only ...'. I came into my chosen field with the desire to make a difference. I knew that to make a real difference, you had to have power, and to get power, you had to be in positions of influence. Aneurin Bevan knew this. He was consumed with the desire to make a difference to the lives of honest working class people. He asked the question, "Where does power lie in this particular State of Great Britain, and how can it be achieved?" He knew the answer. He left the mines and was elected to Parliament, and became, in my view one of the greatest politicians of the 20th Century. He had gained power and influence. I missed the trick. I knew where the power lay, and that power would bring influence, but I could not achieve it, for I had made the wrong choices, or not made the right ones. I could not get into those organisations that could make a difference on a big scale, because I had not taken seriously the subject of my own education. People were fond of saying, "There's no substitute for experience John". To an extent this is true, but when influential organisations are looking for senior people with relevant management qualifications, experience on it's own is not sufficient. 'If only' I'd made the right decisions about educational development. Please don't take from this blog that I'm full of self pity, because I'm not. I am pleased and proud of what I have achieved with fairly small organisations, and the services that I established that benefited many poor, and broken people. I can look back with pride and see lives that were changed for good. On a very small scale there was success. But, 'if only ...'. 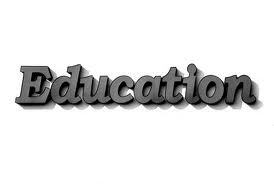 Now I have read, studied, researched throughout my working life, but there was no educational qualification as an end result. I felt knowledgeable, but lacked the means to really prove it. It may be true that qualifications are no guarantee to climbing the ladder, but in my view the lack of them is a hindrance to getting to positions of real influence. 'If only ...'. My excuses for not taking up the educational opportunities that were around, are pathetic when compared with the achievements of others. One of my many heroes in life is the 19th Century Chartist Leader in Leicester, Thomas Cooper. This is not just because of his Chartist work, which was immense, but because of the effort of self-learning that he put in. Indulge me for a moment while I mention an aspect of his Chartist work. He was speaking one day in the Potteries to a crowd of workers and advocating strike action until the six points of Chartism were agreed upon. Following his speech, and while nothing to do with him, rioting broke out. He was later arrested for political activities, and being poor he represented himself at the trial. I think he believed (with some justification) that the authorities were against him, and he had an enjoyable time annoying the court by making a ten hour speech on his own defence. He was however sent to Stafford jail in 1842, where he stayed for over two years. Remarkably while in jail, he wrote his finest piece of work in defence of Chartism published in 1845, called "The Purgatory of Suicides". This was an immense poem in ten books, with in all over 900, nine line stanzas. You can find this on Google Books. I have read it, and it blows your mind away. As for his education, he learnt the basics of reading, writing and mathematics at Sunday School. In his teens he was engaged in amazing self-education. The depth and range of which was phenomenal. He learnt the text of Hamlet by heart when aged 20, and was mortified when his health failed that he had only committed to memory the first four books of Paradise Lost. Professor Philip Collins, in his 1969 Byron Lecture in Nottingham adds to the wonder of the man, when he says, "Apart from general reading in philosophy and theology, he was also at that time leaning Latin, Greek, Hebrew and French, rising at three in the morning so that he had four hour's study before sitting down at his stall to work at his cobbling until eight or nine at night". "And the stupendous effort was exerted with a starry-eyed zest that makes one's heart bleed, as he displays a passion for learning, not always demonstrated by students with more advantages". You see, this is what I mean. 'If only ...'.